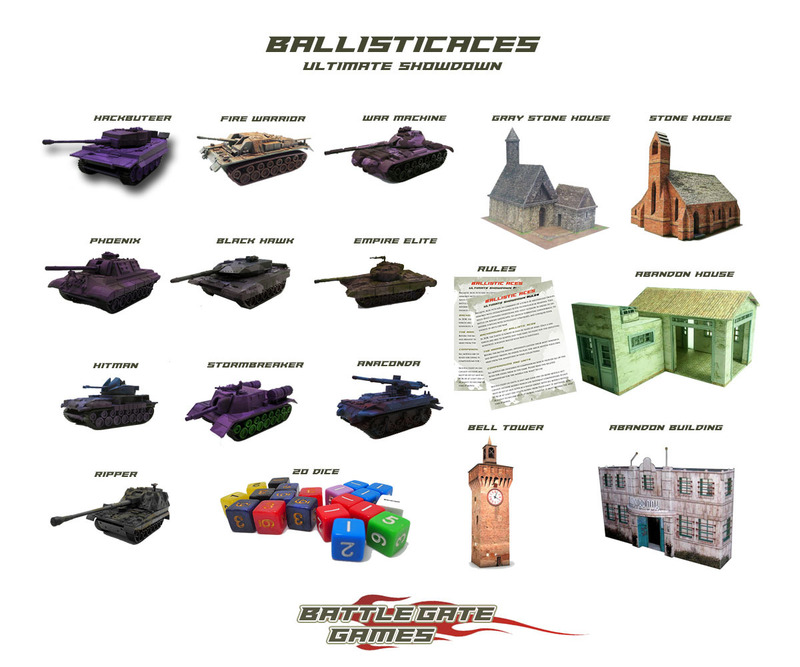 Been thinking about getting into BallisticAces, but not quite sure where to start? BattleGateGames has you covered with their new Ultimate Showdown box, now available over in their webshop. This set is everything you need to get going with BallisticAces. And by that, I mean they pretty much have everything inside. Different tank minis to pick from? Check. Rules sheets? Check. Dice? Check. How about terrain? That's another check.